Hp Sprout pro by HP has provided us with advanced technology that revolutionizes the interactivity. You can manipulate the physical and digital world in innovative ways with advanced technology that’s built into a PC, Touch Mat and 2D and 3D scanning capabilities. 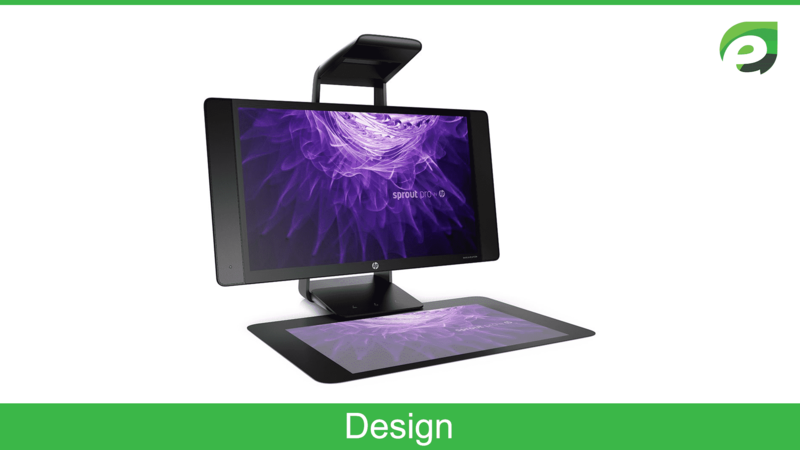 It has a dual multi-touch display, a unique 20-point Touch Mat and hi-res cameras that makes the collaboration and productivity seamless. 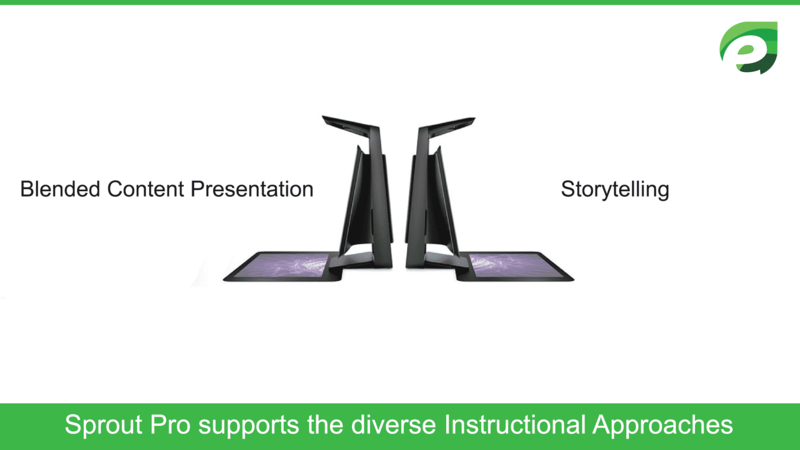 It is specially designed for students and educators because by the help of Sprout Pro they can reimagine collaboration, communication, and learning. HP Sprout Pro has allowed more individualized learning. It improves the student’s courage to find out and try new things, as they follow their imagination, curiosity. 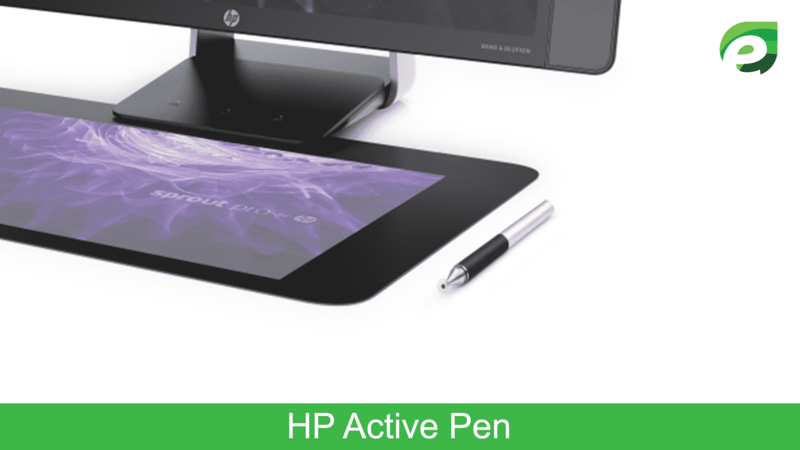 The HP Active Pen is only available with HP Sprout Pro G2. It has the ability to enhance your drawing and writing skill i.e it adds innovations to your writing skills. The Active Pen also features palm rejection and has 2048 pressure levels, on the other hand, the previous pan named, Adonit Jot Pro was passive with fewer pressure levels. This device has come with more advanced design, the device looks sleeker and more elegant than the previous Hp Sprout Pro model. 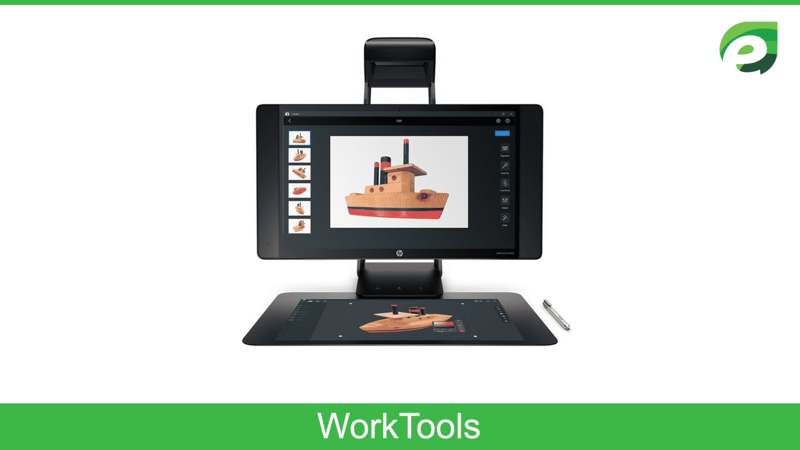 WorkTools are only available at Hp Sprout pro or higher devices. To use these WorkTools internet access is required. The apps which are referenced through WorkTools may require purchase. 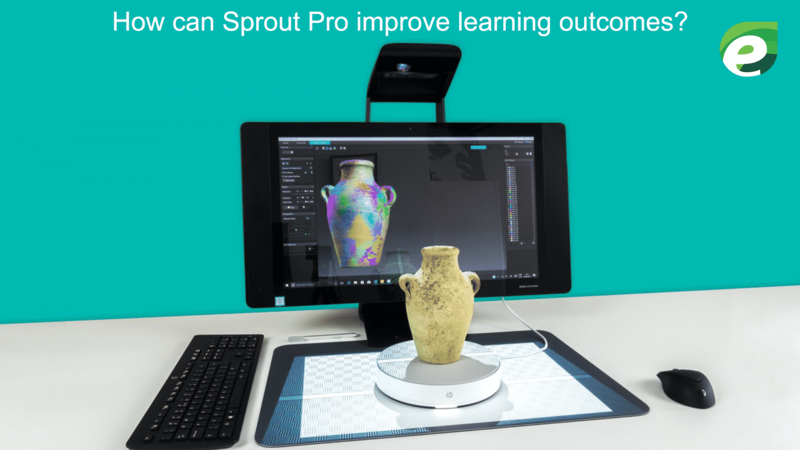 The HP 3D Scan Software Pro v5 would be available soon for the download through discovery in the WorkTools software that is included as a standard with Sprout G2. It is also available for purchase with other PCs and the internet access is also required. 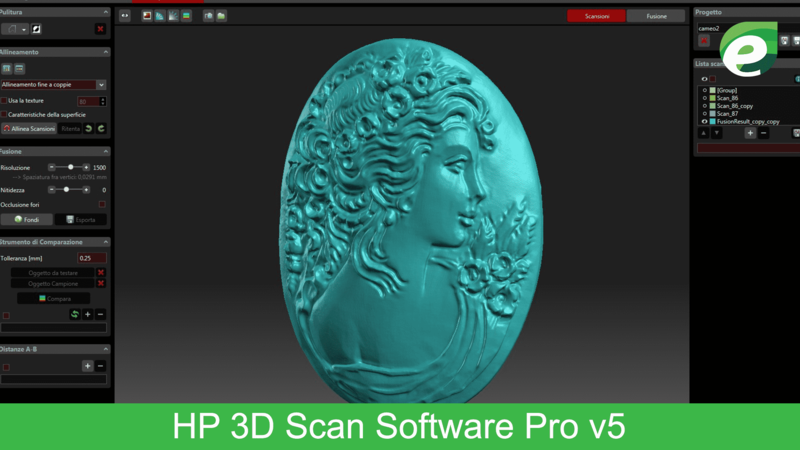 The requirements for purchasing HP 3D Scan Software Pro v5 for other PC’s include Windows 7 or higher and a USB Port to upload HP 3D Scan Software Pro v5. 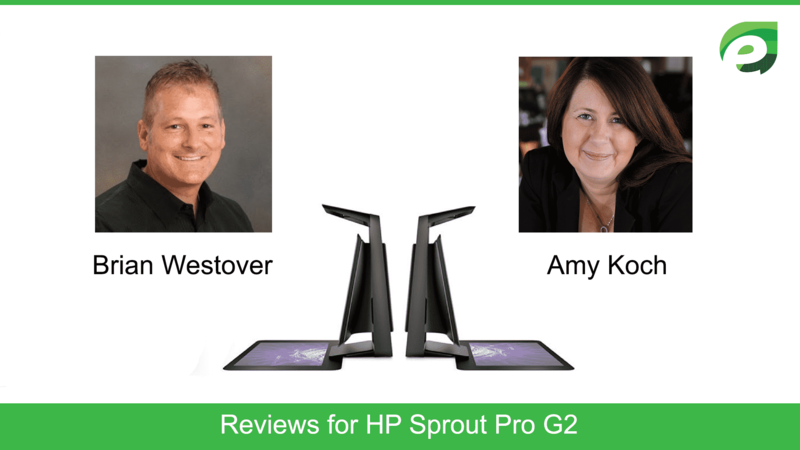 In addition to this, HP Sprout Pro G2 includes significant improvements in the hardware update and the new software. 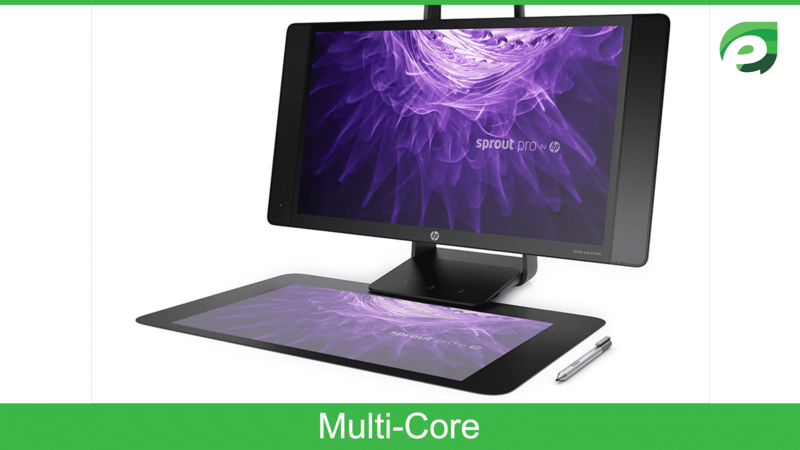 Multi-core is designed in HP Sprout Pro to improve the performance of certain software products. It’s not necessary that all the customers or software applications would get benefited from the use of this technology. The performance will greatly vary depending on the application software and your hardware and software configurations. Intel’s number does not correspond to higher performance. It reduces the need for extra hardware with a system that integrates diverse and multiple technologies. It easily gets adapt to the changing and the new environments. HP Sprout Pro has Windows 10 Pro 64 Operating System. It has Intel Core i7-7700J with Intel HD Graphics 630 (2.9 GHz, 8 MB cache, 4 cores) as the processor. It has Intel HD Graphics 630 and NVIDIA GeForce GTX 960M(2 GB GDDRS). 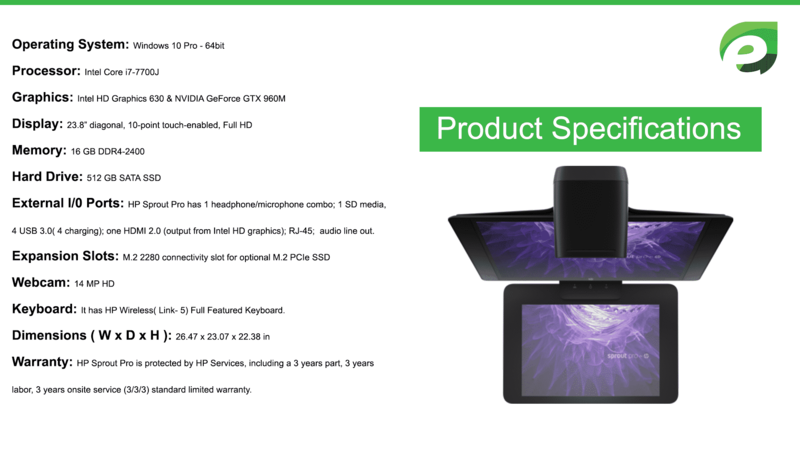 It has a vertical display featuring 23.8” diagonal,10-point touch-enabled, full HD, wide viewing angle, white LED backlight LCD display(1920 x 1080). 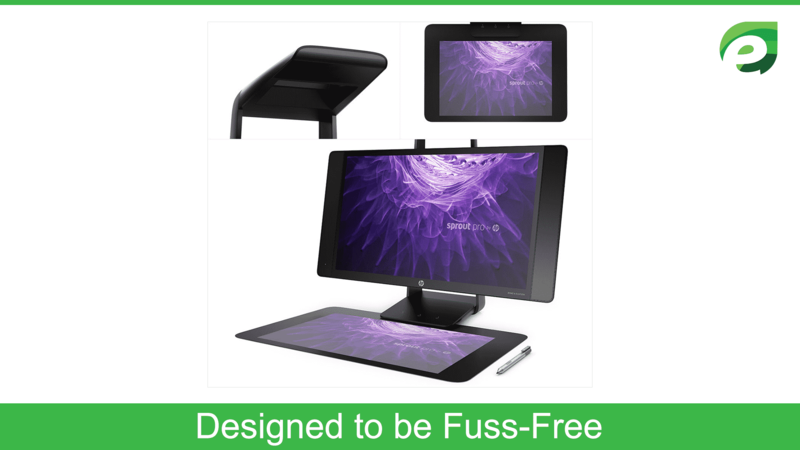 And the horizontal display features 21.3” diagonal 20-point touch and HP Active Pen-enabled Touch Mat. It has an additional memory of 16 GB DDR4-2400 non-ECC SDRAM (1 X 16 GB). It has 2 memory slots of SODIMM. It has a hard drive of 512 GB SATA SSD. HP Sprout Pro has 1 headphone/microphone combo including 1 SD media, 4 USB 3.0( 4 charging); one HDMI 2.0 (output from Intel HD graphics); RJ-45; audio line out. M.2 2280 connectivity slot for optional M.2 PCIe SSD. It is ENERGY STAR qualified. It’s audio is provided by Bang and Olufsen. It has HP High Definition 14 MP Webcam. It has HP Wireless( Link- 5) Full Featured Keyboard. It has wide dimension of 26.47 x 23.07 x 22.38 in. HP Services, including a 3 years part, 3 years labor, 3 years onsite service (3/3/3) standard limited warranty protect the HP sprout pro. Sprout Pro enhances the student’s natural way of drawing and writing with digital linking using the HP Active Pen on the paper like Touchet. It brings the transformation of students from passive observers to engaged observers with advanced technology that hands-on experiences across different disciplines. It creates a very interactive tutorial video of the Pythagoras Theorem with Touch Mat and webcam. It tensions the projection of the Egyptian history and culture on the Touch Mat to add to a model of Pharoah’s tomb. t works in collaboration with a team to retell a Civil War novel by creating and designing a stop-motion video. Learn the HTML operation along with dual work areas that let the students and the educators alter the code and see the diverse changes come alive at the same time. It has the ability to showcase the physical objects and digital content simultaneously to the whole class. It encourages the creative expression through storytelling with the Stop Motion app and the downward camera. 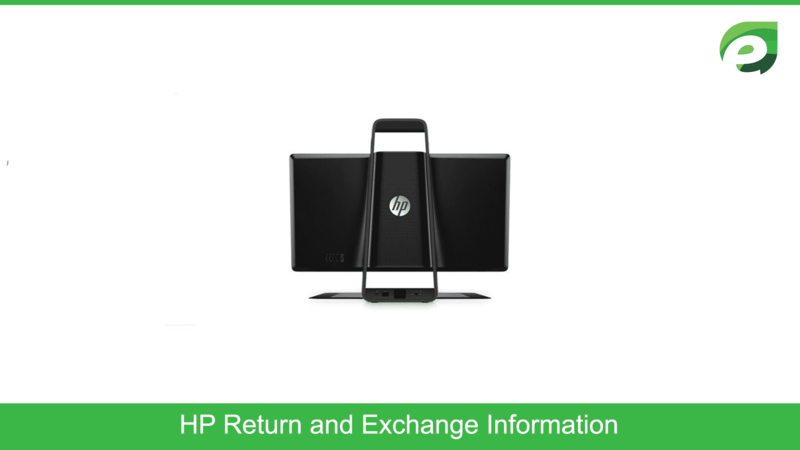 HP.com will accept the applications for return or exchange for HP Sprout Pro G2 up to 30 days after delivery, after 30 days you cannot return or exchange the product. According to Brian Westover, the Sprout’s processor is truly top-tier, which offers incredible performance that’s further augmented by its workhorse graphics card. He has given the verdict about HP Sprout Pro that it is unique, but different doesn’t always mean better, For all it’s power, it lacks much of the core functionality that would make it a mess for the family’s computing needs. She said that “ With Sprout, I’m able to easily engage with our fans across all of our social channels from one platform. It’s an essential tool for keeping a pulse on Yougurtland chatter and joining new conversations”. PowerRay underwater drone is all excitement and fun for the users.